Vital Records of Topsfield Massachusetts to the year 1850, Boston, Mass. : New England historic genealogical society, at the charge of the Eddy town-record fund, (1910) , p. 179. (?) Sanborn was born perhaps about 1902. 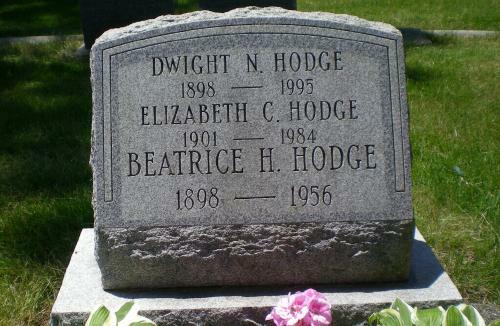 Find A Grave Memorial# 65627494. 1930 United States. Bureau of the Census. 15th census, United States, 1930 federal census : population schedules ; NARA microfilm publication T626, Washington, District of Columbia: Bureau of the Census Micro-Film Laboratory, ([19--?]) , Census Place: Salem, Essex, Massachusetts; Roll: 902; Page: 17A; Enumeration District: 0249; Image: 968.0; FHL microfilm: 2340637. Find A Grave Memorial# 64162782. V. C. Sanborn, Genealogy of the Family of Samborne or Sanborn In England and America 1194-1898, Privately printed for the author, (1899) , p. 250. Jack Callaway Sanders was born in 1995. In 2013, he was diagnosed with Crohns disease. John Sanders was born perhaps about 1969. John Sanders is online at https://www.facebook.com/profile.php?id=100001250044640&ref=ffl. "Massachusetts Births, 1841-1915", database with images, FamilySearch (https://familysearch.org/ark:/61903/1:1:FX8T-XSD : 1 March 2016), Blanch Edna Sanderson, 1880. 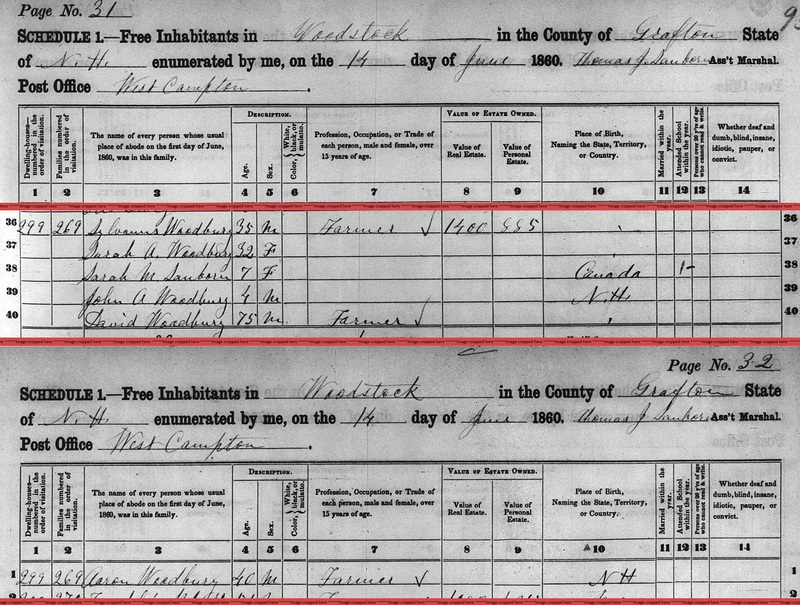 "United States Census, 1880," database with images, FamilySearch (https://familysearch.org/ark:/61903/1:1:MF3B-K7Q : 14 July 2016), George E Sanderson, Waterford, Oxford, Maine, United States; citing enumeration district ED 140, sheet 357C, NARA microfilm publication T9 (Washington D.C.: National Archives and Records Administration, n.d.), roll 0484; FHL microfilm 1,254,484. 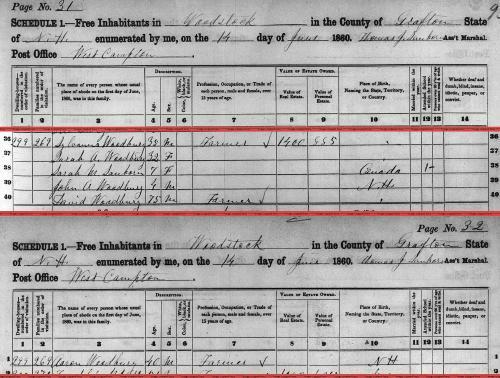 "United States Census, 1880," database with images, FamilySearch (https://familysearch.org/ark:/61903/1:1:MF3B-K77 : 14 July 2016), George E Sanderson, Waterford, Oxford, Maine, United States; citing enumeration district ED 140, sheet 357C, NARA microfilm publication T9 (Washington D.C.: National Archives and Records Administration, n.d.), roll 0484; FHL microfilm 1,254,484. Caroline Sanderson was born perhaps about 1825. "Maine Marriages, 1771-1907," database, FamilySearch (https://familysearch.org/ark:/61903/1:1:F4X7-K2D : 4 December 2014), Levi B. Pollard and Caroline Sanderson, 26 Nov 1848; citing Civil, Waterford, Oxford, Maine, reference ; FHL microfilm 12,625. "Maine, Births and Christenings, 1739-1900," index, FamilySearch (https://familysearch.org/pal:/MM9.1.1/F4S8-93L : accessed 29 Nov 2012), Frank Wallace Sanderson, 21 Aug 1855; citing reference yr 1762-1859 p 187, FHL microfilm 12625. 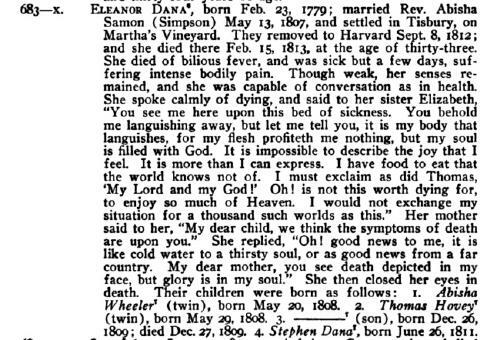 "Maine Births and Christenings, 1739-1900," database, FamilySearch (https://familysearch.org/ark:/61903/1:1:F4S8-935 : 4 December 2014), George Edward Sanderson, 27 Jun 1857; citing Waterford, Oxford, Maine; FHL microfilm 12,625. 1900 United States. Census Office. 12th census, 1900 population census schedules, Washington, District of Columbia: Bureau of the Census Micro-Film Laboratory, ([197-]) , Census Place: Groton, Middlesex, Massachusetts; Roll: 659; Page: 2B; Enumeration District: 0762; FHL microfilm: 1240659. "Maine, Marriages, 1771-1907," index, FamilySearch (https://familysearch.org/pal:/MM9.1.1/F4X7-LHH : accessed 29 Nov 2012), John B. Sanderson and Sarah Young, 30 May 1854; citing reference , FHL microfilm 12625. Town and City Clerks of Massachusetts, Massachusetts Vital and Town Records, Provo, UT: Holbrook Research Institute (Jay and Delene Holbrook), , Groton > Births, Marriages and Death > 954. Ational Archives and Records Administration (NARA); Washington, D.C.; Consolidated Lists of Civil War Draft Registration Records (Provost Marshal General's Bureau; Consolidated Enrollment Lists, 1863-1865); Record Group: 110, Records of the Provost Marshal General's Bureau (Civil War); Collection Name: Consolidated Enrollment Lists, 1863-1865 (Civil War Union Draft Records); ARC Identifier: 4213514; Archive Volume Number: 3 of 5. 1880 United States. Census Office. 10th census, 1880 federal population census, Washington, District of Columbia: National Archives and Records Service, ([19--]) , Census Place: Groton, Middlesex, Massachusetts; Roll: 538; Family History Film: 1254538; Page: 243D; Enumeration District: 365; Image: 0764. 1880 United States. Census Office. 10th census, 1880 federal population census, Washington, District of Columbia: National Archives and Records Service, ([19--]) , FHL Film 1254538; National Archives Film T9-0538; Page 243D. "Washington, Death Certificates, 1907-1960," index, FamilySearch (https://familysearch.org/pal:/MM9.1.1/N35X-6BC : accessed 11 Dec 2012), Nellie A. Kneeland, 26 Feb 1932.
living at 671 Main Street, Shrewsbury, Worcester County, Massachusetts. Sivret, Sadie M. widow Franklin P. house 38 Benefit. "Massachusetts, Births, 1841-1915," index and images, FamilySearch (https://familysearch.org/pal:/MM9.1.1/FXW1-P8B : accessed 02 Dec 2012), Sophia Minns Sivret, 1890. Town and City Clerks of Massachusetts, Massachusetts Vital and Town Records, Provo, UT: Holbrook Research Institute (Jay and Delene Holbrook), , Groton > Births, Marriages and Death > 847. 1910 United States. Bureau of the Census. 13th census, 1910 population census schedules, Washington, District of Columbia: Bureau of Census Micro-Film Lab, ([19--?]) , Census Place: Shrewsbury, Worcester, Massachusetts; Roll: T624_629; Page: 11A; Enumeration District: 1807; ; FHL microfilm: 1374642. 1920 United States. Bureau of the Census. 14th census, 1920 population census schedules, Washington, District of Columbia: The National Archives, ([193-?]) , Census Place: Auburn, Worcester, Massachusetts; Roll: T625_744; Page: 14B; Enumeration District: 7; Image: 940. 1930 United States. Bureau of the Census. 15th census, United States, 1930 federal census : population schedules ; NARA microfilm publication T626, Washington, District of Columbia: Bureau of the Census Micro-Film Laboratory, ([19--?]) , Census Place: Shrewsbury, Worcester, Massachusetts; Roll: 965; Page: 3B; Enumeration District: 263; Image: 707.0; FHL microfilm: 2340700. Sixteenth Census of the United States, 1940, Washington, D.C.: National Archives and Records Administration, (1940) , Census Place: Worcester, Worcester, Massachusetts; Roll: T627_1718; Page: 83A; Enumeration District: 23-181. "Massachusetts, Births, 1841-1915," index and images, FamilySearch (https://familysearch.org/pal:/MM9.1.1/FXFC-QR9 : accessed 03 Dec 2012), Richard Ware Sivret, 1900. "Massachusetts, Births, 1841-1915," index and images, FamilySearch (https://familysearch.org/pal:/MM9.1.1/FXHJ-26K : accessed 02 Dec 2012), Tileston Sivret, 1902. David Sanford was born perhaps about 1708. Harrison Colby, A genealogy of the descendants of Abraham Colby and Elizabeth Blaisdell, his wife, who settled in Bow in 1768, , at https://archive.org/details/genealogyofdesce00colb . Concord, N.H.: Printed by the Republican Press Association, (1895) Microfilm #896944 of the Family History Library, Salt Lake City, Utah, p. 84. "New Hampshire, Marriage Records, 1637-1947," index and images, FamilySearch (https://familysearch.org/pal:/MM9.1.1/FLDS-F91 : accessed 03 Nov 2012), C.R. Dunham and Hattie Sanford and null, 1863. Harrison Colby, A genealogy of the descendants of Abraham Colby and Elizabeth Blaisdell, his wife, who settled in Bow in 1768, , at https://archive.org/details/genealogyofdesce00colb . Concord, N.H.: Printed by the Republican Press Association, (1895) Microfilm #896944 of the Family History Library, Salt Lake City, Utah, pp. 83-4.